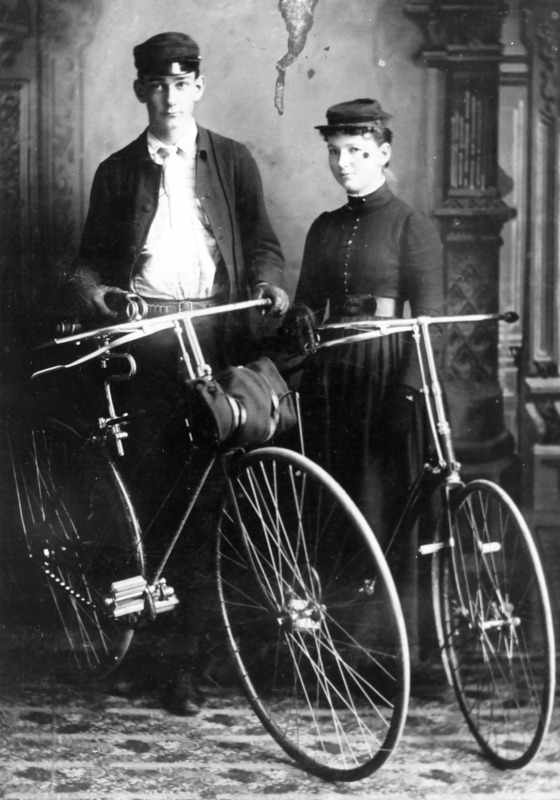 Charlie Bristol & Sister Sadie after a bicycle trip to Laramie. When man first invented the wheel, who could have imagined he would have so much fun on two of them? With the advent of the bicycle, people in Laramie loved the new form of transportation to travel through the flat terrain of the city. Elmer Lovejoy built many bicycles in Laramie and early bicycle clubs. The bicycle also played an important role in the Women’s Suffrage movement by allowing women greater access to personal freedom. Today, Laramie is a center for mountain biking with nationally renowned mountain bicycling trails nearby in Curt Gowdy State Park. Love Wyoming history? Let us connect you!